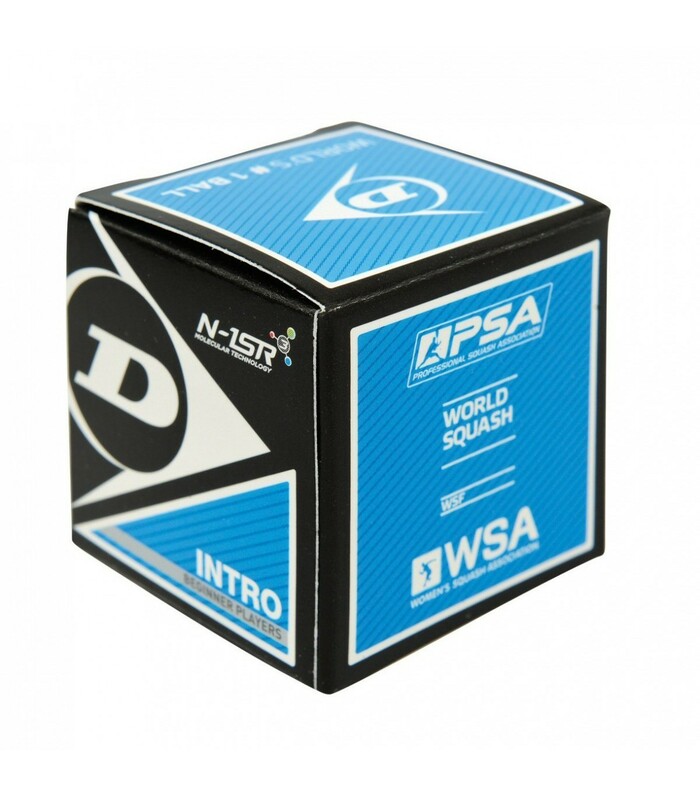 The squash ball Dunlop Intro is the perfect squash ball for beginners. With this squash ball, players can progress faster and easier thanks to the high hang time (+40%) and the larger size of the ball (+12% larger than the standard ball). The Dunlop Intro squash ball is a 1 blue dot squash ball. This ball single blue dot squash is ideal for beginners. As the name suggests, the Dunlop Intro squash ball is perfect for beginner squash players. With this squash ball, players can improve quickly their technique. The Dunlop Intro squash ball is the most suitable ball to start playing squash. The blue dot is the first category in terms of difficulty. The Dunlop Intro squash ball is the fastest squash ball, with the highest hang time. So if you want to work a particular movement, if you are looking for comfort, the single blue dot squash ball is then perfect for you. Moreover, you will have great fun playing squash when you’ll see the progress you are making thanks to the high bounce and its larger size by 12% compared to the size of the double yellow dot ball. The Dunlop Intro squash ball is a squash ball, with quick warm up duration. 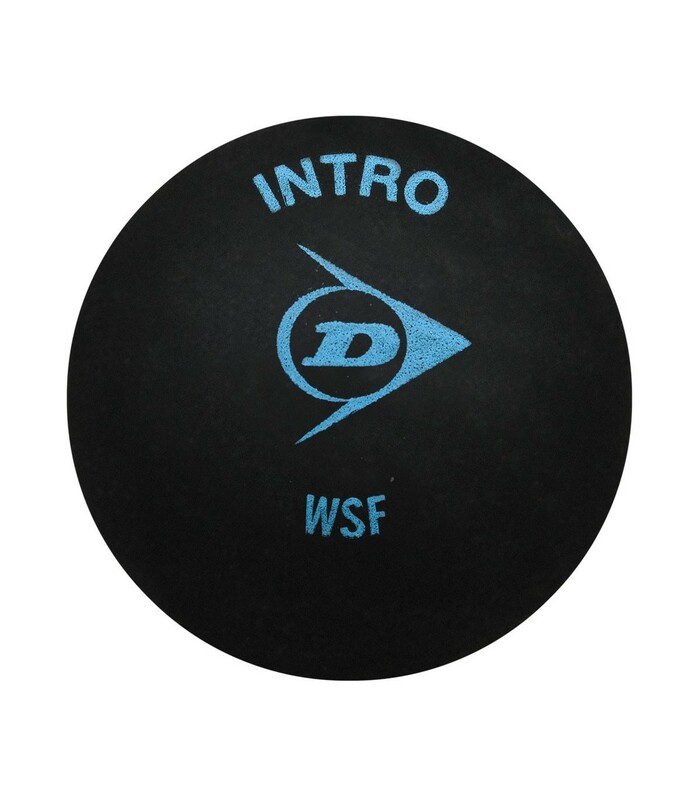 The Dunlop Intro squash ball has been designed to facilitate the work and the progress: you’ll get easily a better technique, thanks to the particularly high bounce (greater than 40% compared to the standard model). So if you are a beginner squash player, go for the squash ball Dunlop Intro: it has the highest bounce, the fastest speed with a high pressure, it is larger and allows to progress quicker and more easily.